The Betsie Temple cocktail tastes like candy. Pineapple juice, four freakin’ ounces of coconut rum, a little grenadine and some cherries on top. Usually drinks that taste like candy are a little weak, but once in a while, they’re so not. Once in a while, they’re like wolves in sheep’s clothing: deceptively palatable infiltrators capable of knocking you out in the second or third round. Like the Zombie. Because, seriously, did I mention four ounces of coconut rum? Which is not only a lot of alcohol, but also incredibly delicious. 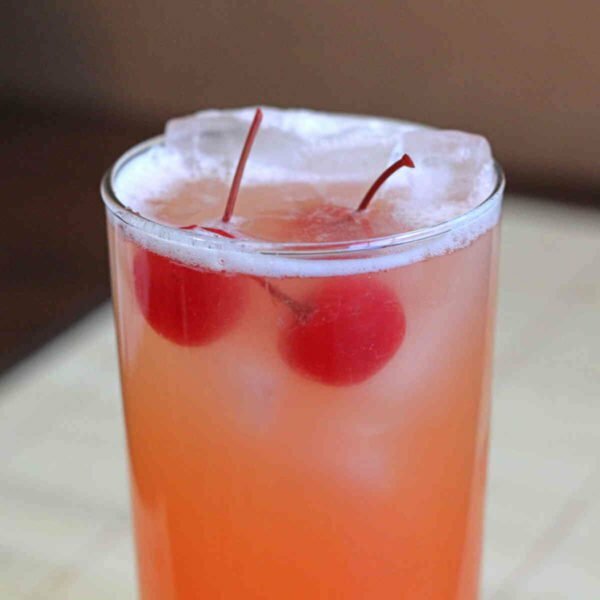 This is your basic pineapple coconut tropical affair, except for the cherries and dash of grenadine (which is more or less cherry in flavor) that make it different. 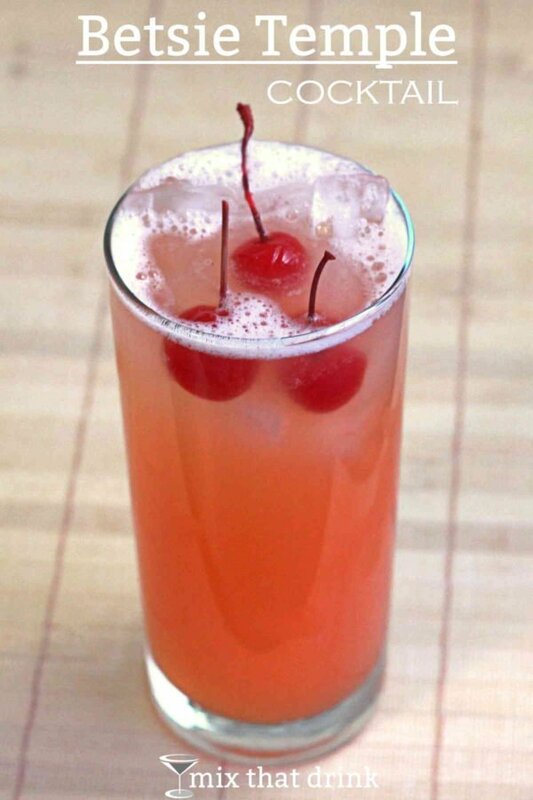 If you’re trying to impress someone, you might want to break out the higher quality maraschino cherries for garnish. Luxardo’s are lovely, or you can pick a bourbon infused cherry you like. That’s a nice way to add a special touch to the drink. And be sure to let them know there’s something special about the cherries before they pop them in their mouth without really tasting them. Sometimes it’s all about the presentation.